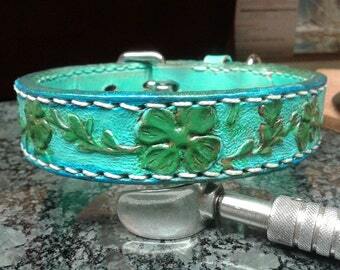 Large leather dog collar is handmade. 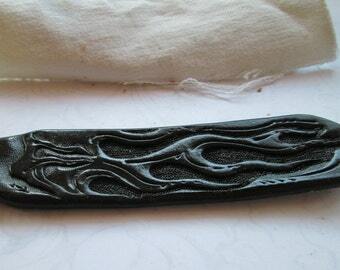 Would be great for a Siberian Husky with it's custom tooled tribal type design. It's finished in shades grays and black. 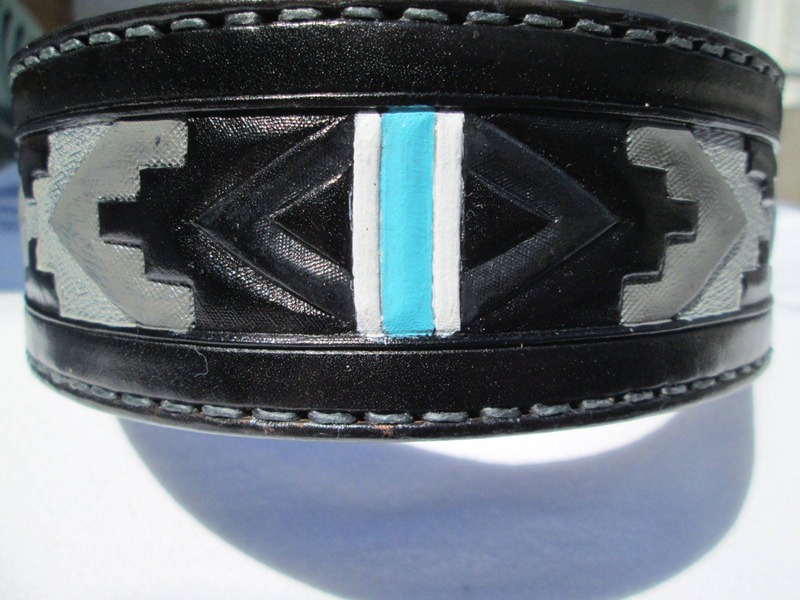 This collar is 2" wide with stylish 1.5" tapered ends. 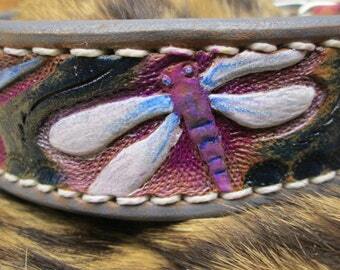 It measures 18" - 22" long in length with the center hole at 20" which will be the ideal fit. Comprised from two straps of leather. 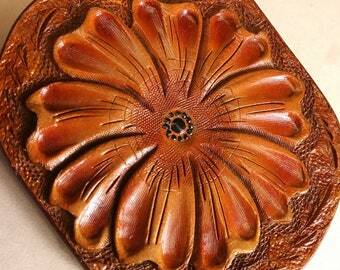 Saddle skirting leather outer is glued to a vegetable tanned leather liner. This collars perfect for Pitbulls, Boxers, and large neck sized dog friends. 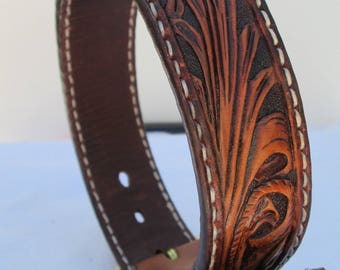 This is a cool collar, great color, thick, hand tooled, hand stitched with edges burnished to perfection. Finished in poly coat for years of beauty and service. The buckle is solid brass with a brilliant Nickle plating, welded d ring and matching leather keeper. 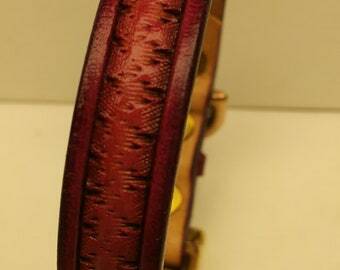 Thank you for stopping by and checking out this luxury in every way pet collar.